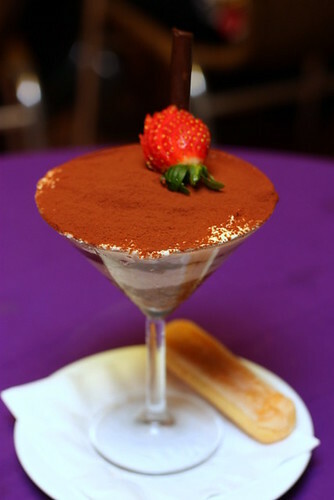 Let’s have FUN at Sanook, shall we?!?!?! Sanook is a hidden fun place at Plaza Kelana Jaya; a restaurant holding 2 concepts for you to have your meals. 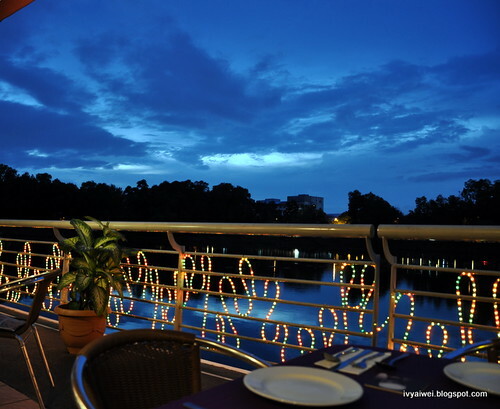 Love the lake view, you can choose to dine at Alfresco@Sanook which is located on the ground floor, facing the lake. 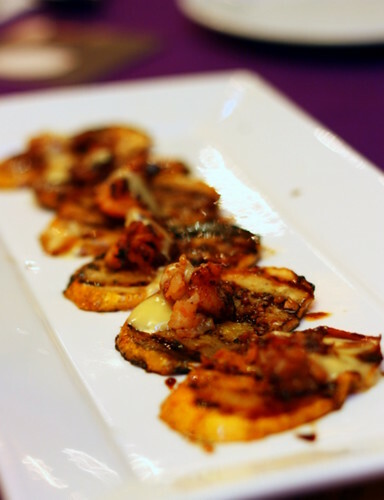 Or you can opt to dine-in in Arriba@Sanook where music is played all night long. We were greeted friendly by the godfather who is the owner, the friendly people pleaser, chief people pleaser, chief food artist…. ooohhh, they are actually the people running Sanook, the executives, chefs, waiters… how lovely are their titles! 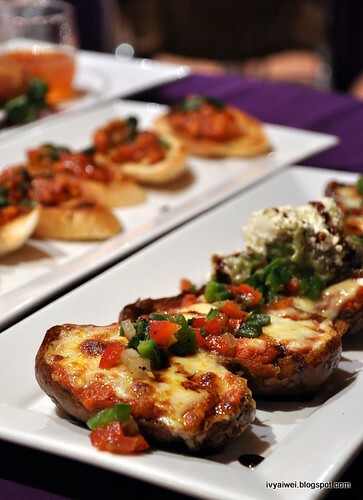 Sanook serves scrumptious spread of dishes from all over the world which include Asian cuisine, Western fares as well as Italian pasta and wood oven pizza! 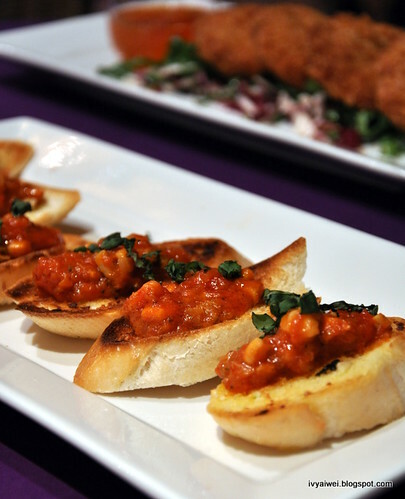 Not to forget their tapas which are really ‘something’ to go with your drinks. 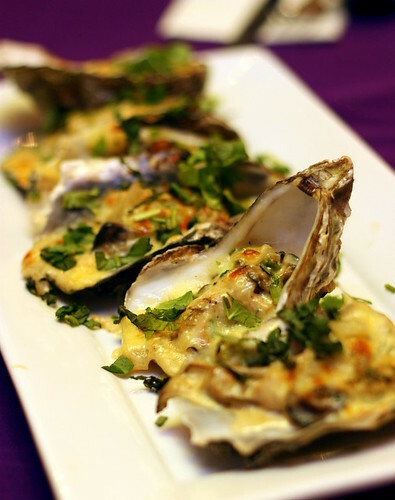 topped with bolognaise beef or chicken served with sour cream and guacamole. 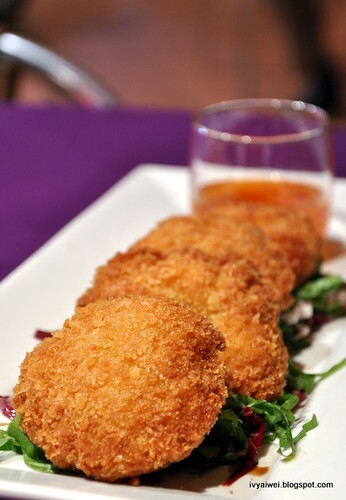 An authentic Thai dishes – deep fried shrimp cakes with sweet basil. 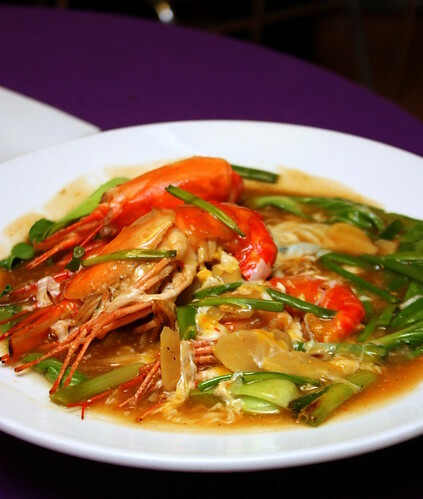 Huge portion of springy egg noodles and served with the fresh giant sized prawns. 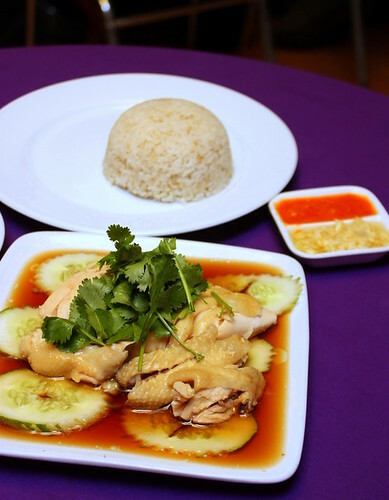 the Godfather is very proud of his Hainanese Chicken Rice. He told us they have the very special and unique Hainanese Chicken Rice here. What’s their secret weapon behind?! The very fragrant rice!!! Give a try and I am sure you will love it. Goes with the smooth poached chicken in soy sauce, and their homemade chili and ginger give extra kicks too! 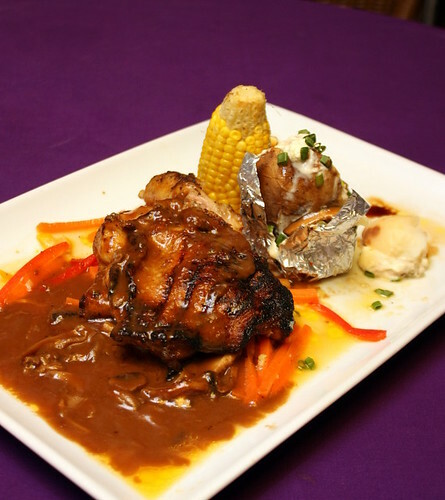 American-styled roasted chicken chop drenched with thick mushroom sauce and served with baked potate and corn on the cob. Topped with Barramundi fish with baby leeks, olives, mango mojo and baked in wood fire oven. 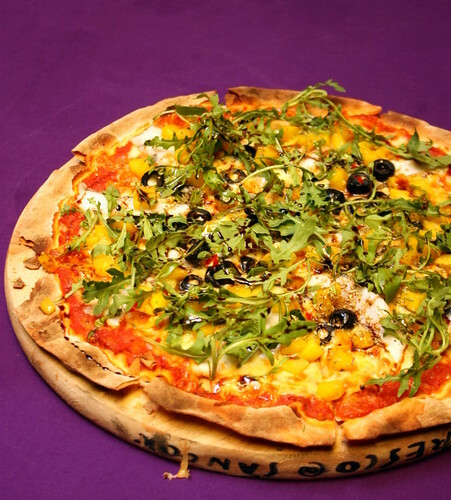 A rather moist and not-the-ordinary-crispy-type of pizza it is, you have gotto dig your fingers in, roll it up and eat it. 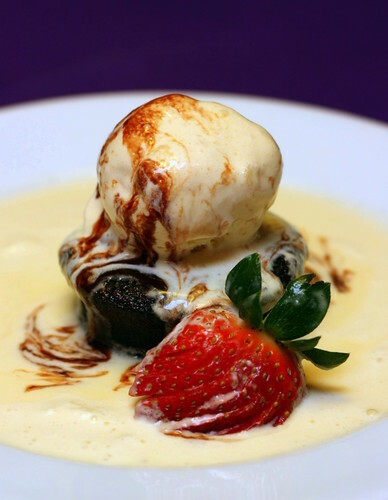 Served with a scoop of Vanilla Pecan Ice Cream from Haagen Dazz. 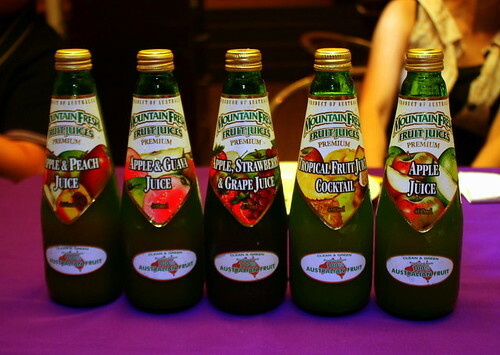 Premium Mountain Fresh Fruit Juice is available here!!! (RM12) – the 100% real fruit juice with no additional of sugar and water. They come in different flavours with apple as the base juice. Not your thing??? no worries, there are cocktails, wines and beers are available here in Sanook. 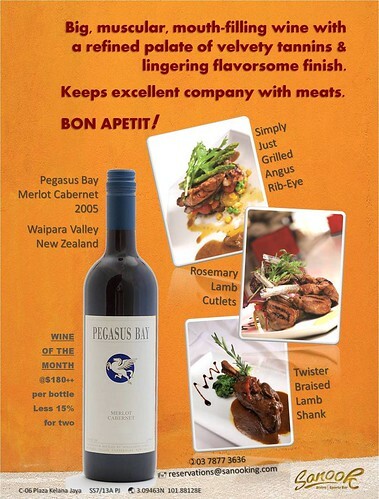 This month April, Sanook has Pegasus Bay Merlot Cabernet 2005 from the Waipara Valley in New Zealand as their wine of the month. 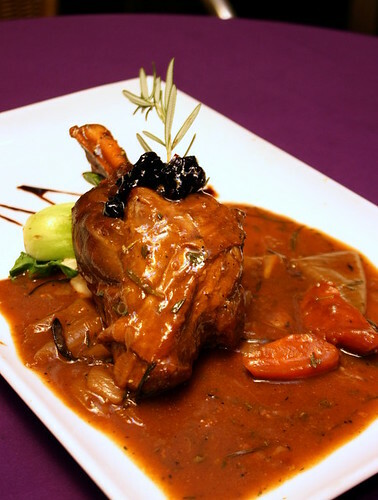 A great companion with their house’s steak – Angus Rib Eyes, Roasemary Lamb Cutlets and Twister Braised Lamb Shank! Best of all, you can get 15% discount with every 2 bottles purchase. *most of the photos are from Brought Up 2 Share: courtesy to Chris&Christine . 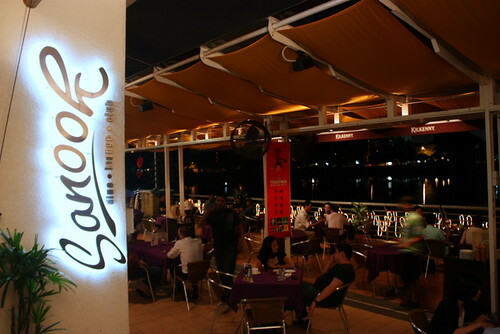 I been here once with my makan gang, they have nice lake view and foods were good too. yeahhh, nice lake view it is. Love the lake view especially at night! Their nachos are GOOD too! Amazing shots there! We are so into the food there after read your post, especially the dessert,the Chocolate Mud Cake~ yumm..
the food there is quite nice eh..tthe last round i went with my friend..what we order all quite consistant in taste. .